For successful summer holidays in the mountains, book your accommodation to Puy-Saint-Vincent in Southern Alps massive, Hautes Alpes. This mountain resort will offer you exceptionnal areas and surprising landscapes. Your summer accommodation to Puy-Saint-Vincent will be for you a moment of wellness in the heart of a beautiful nature and you will spend holidays in wide open spaces. Our moutain offers will make you live warm emotions with all your family. 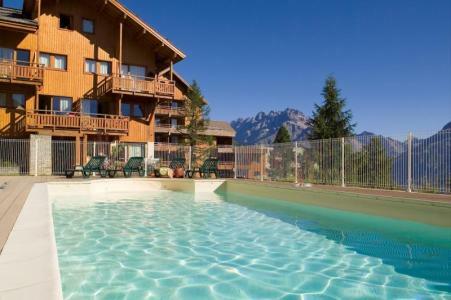 We propose you quality holidays accommodation in all French massives, in the heart of mountains. We have many residences to rent for your summer to Puy-Saint-Vincent. Let yourself be carried by a feeling of happiness, enjoy the summer holidays in the mountains full of sun and discoveries ! The residence des Gentianes is situated at the top of Puy Saint Vincent 1800. This residence of standing is recent, it is composed of 4 builds in wood. It offer a wonderfull view on the "Glacier Blanc", the National Park of Les Ecrins and Vallouise valley. There is an indoor heated swimming pool. The ski slopes access is only 150 m from the accomodations. The shops and resort center is located 800 m from the residence. "Les Gentianes" residence is situated in the village of Puy-Saint-Vincent 1800, at 800 m from the resort center, where you can find all shops and amenities. Take time to relax in the free well-being center : indoor heated swimming-pool. You will be in a quiet place and benefit from the surrounding nature. The residence le Hameau des Ecrins offers an exceptional panorama over the Parc National des Ecrins and the Vallouise valley. Located less than 100 meters away the hiking trails, 200 m from shops and 350 m from the resort center. The residence offers a good place face to Violettes glacier. 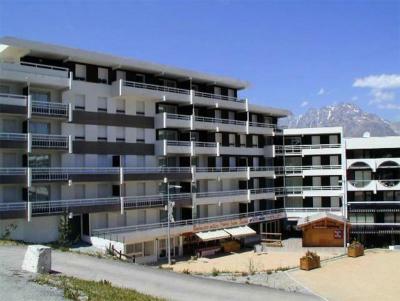 The residence Sun Vallée situated near of all the shops and the nursery of the children. 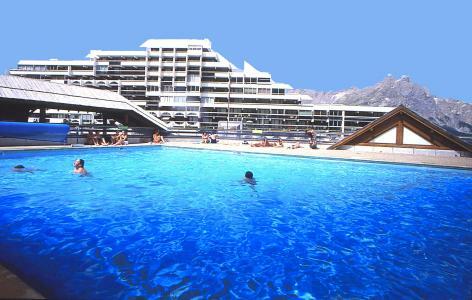 The apartments have a view on the mountain or on the valley of Vallouise. The Chalets of Puy Saint Vincent, located at 600 m from the heart of the ski resort, propose calm, peaceful and authentic style surroundings, bird's-eye view of the valley. 7 chalets, each comprising 6 to 8 apartments ranging from studios to 3-room appartments, with fireplace in the 3-room duplexes. 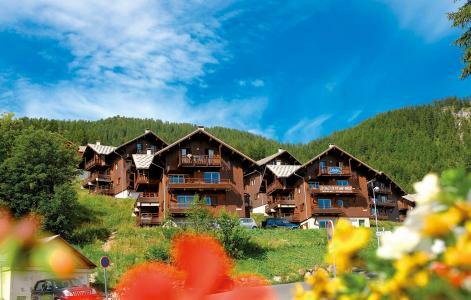 The residence Le Serac is situated in Puy Saint Vincent 1600, 500 m away from the resort center and shops. 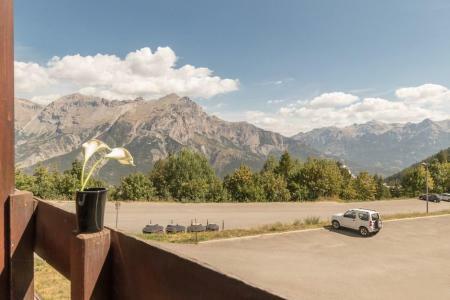 This residence offer you a view on the resort and the mountains. The residences, will enable you to be within the immediate proximity of all of the shops, services and the day care center. The apartments have a view of the Vallouise valley. Puy Saint Vincent is located at the gates of the Ecrins National Park in a special area. This modern resort knew how to preserve the charm and special features of this traditional village that sits at 1600m altitude. In summer, everything is at your fingertips to make for an excellent vacation. A guaranteed family atmosphere. 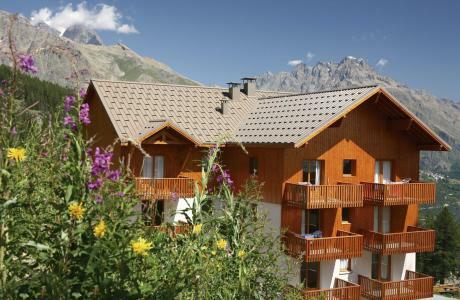 The residence Les Ecrins is situated in Puy Saint Vincent 1600, 500 m away from the shops and resort center. This residence with lifts, offer a wonderfull view on the mountains. The residence Queyrettes is situated in Puy Saint Vincent 1400, 1.4 km away from the shops. This residence is located near the tourisme office and town hall.